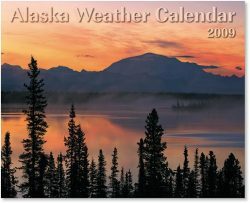 Features 38 spectacular photos of Alaskan weatherscapes plus loads of interesting information. 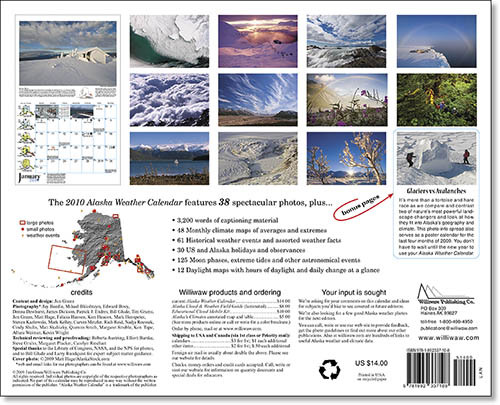 Printed in USA on recycled paper. 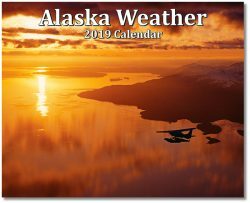 This colorful calendar relies on a mix of non-cliché photography and interesting weather information for its continued popularity in and outside of Alaska. 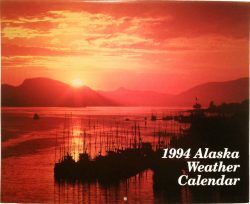 The fully-captioned photos are the heart of the calendar, but there’s much more: Date blocks recall historical weather events, give a quick weather fact, or show the current year’s astronomical events or extreme tides. 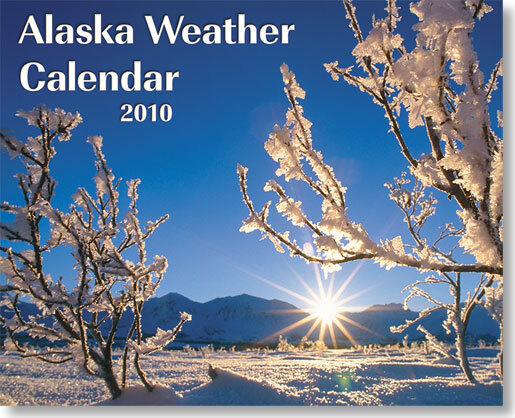 Monthly maps give temperature and precipitation averages, records and daylight hours. 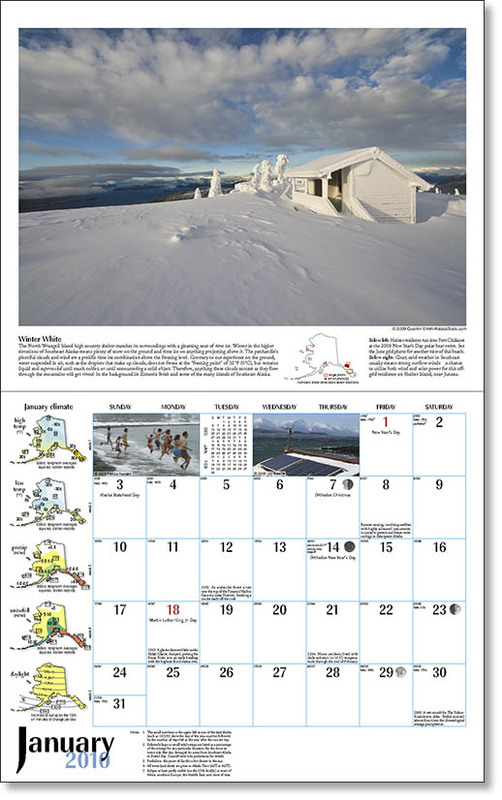 The bonus section Glaciers vs Avalanches compares and contrasts two of nature’s most powerful landscape changers.